With limitless options, it can be hard for a bride and groom to know where to begin. 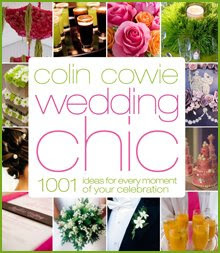 Comprehensive and clearly organized into chapters covering all of the celebration—from bouquets to cakes and food, invitations to dresses and reception décor—Colin Cowie Wedding Chic will quickly become the go-to resource for every wedding. From the first task of determining the overall mood you want to capture to the final, last-moment preparations, Colin Cowie provides expert advice, unique ideas, and inspiring photographs of more than 1,001 gorgeous details. Colin Cowie Wedding Chic is the ultimate guide to choosing the elements that will turn a special day into an event to remember forever.